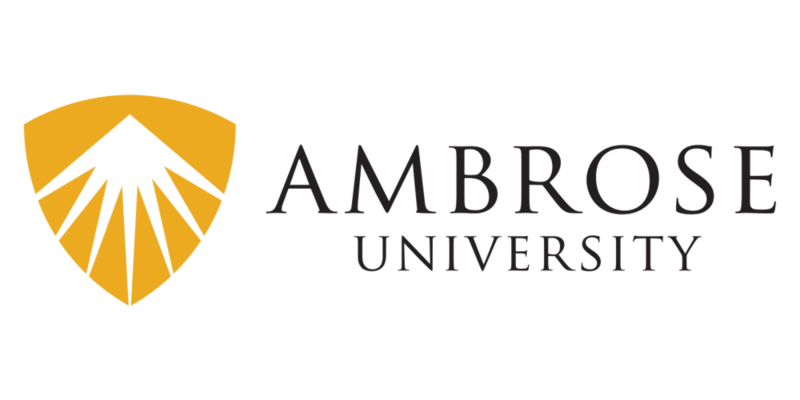 In the spring of 2017, Ambrose University approached Charity Electric for the first time to address possible solutions to their declining donor return rate and overall incoming revenue, so we created a tailor-made game plan to get them back on track. Ambrose University is a Calgary based Christian liberal arts school, that has provided over 90 years of higher education, allowing students to grow and explore their faith while learning. Fundraising plays an important role in Ambrose’s ability to carry on their mission and foster world-changing leaders, so we knew the stakes were high for this client. Our first step was to audit Ambrose’s existing marketing activities and donation data so they could better understand the results of their current fundraising practices. From the information our audit presented, we were able to suggest three main areas their marketing team could focus on to strengthen the overall impact of their fundraising. We predicted that these three overarching improvements would help to build a solution for an outstanding issue within Ambrose’s previous marketing technique: it’s lack of donor-centricity. Without a direct focus on donor activation and appreciation, fundraising campaigns often get less than ample results, which was starting to prove true for Ambrose. Through ongoing collaboration with the Ambrose team, we were able to decide what the best next steps were to start working towards improved results. We made three main recommendations for Ambrose. Provide new donors with a call to action to become monthly contributors very soon after their first gift, highlighting how much their contributions are needed and appreciated. Reconnect with their alumni (alongside other lapsed donors) as a key demographic for reactivation. Update their online content to present a more streamlined and user-friendly interface. This would reward new and reactivated donors with a great online experience, prompting them to return again. As part of our initiative to increase new donor appreciation, we completed an appeal with Ambrose in the spring of 2017 which was enclosed alongside a seasonal Easter card; a gesture that would start paving the road to more personal donor relationships. This acted as a preliminary project for the rest of their marketing overhaul and segued the transfer of Ambrose to our sister agency Frontier for continued long-term collaboration. What happened next was groundbreaking. In the year following the audit, Ambrose was able to raise $70,000 in print revenue and a record-setting $99,000 by implementing the integrated donor-centric process we recommended. As well, their fall 2017 digital campaign brought in 149% more revenue than in fall 2016, thanks to the redesign of their websites online giving experience. Overall, our collaboration with Lee Umbach and the Ambrose team resulted in a record of more than 200 donor returns. Our work with the university didn’t end there. Ambrose continued to improve their fundraising capabilities by progressing with the implementation of Charity Electric’s suggestions and becoming a very regular client of our higher-volume sister agency, Frontier. We are very honoured to have been a part of Ambrose’s story and look forward to continuing to help them grow and thrive with continued collaboration in the future.